The Gold Edition includes all DLC. Go to the folder for your language (e.g. en for English). Patch 1.03 fixes various issues including FMVs crashing the game. 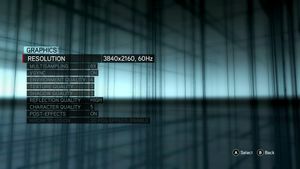 In-game general settings (single player). 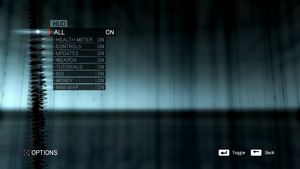 In-game HUD settings (single player). 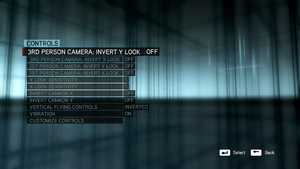 In-game video settings (single player). 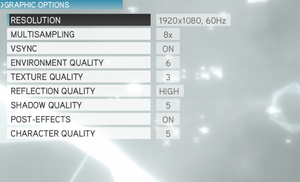 No frame rate or refresh rate cap. Major stutter and artifacting at 165hz. 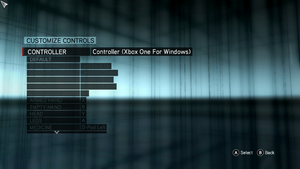 In-game control settings (single player). In-game key map settings (single player). 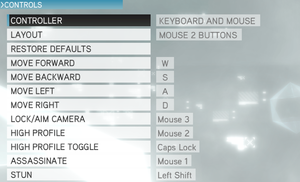 In-game button map settings (single player). In-game key map settings (multiplayer). 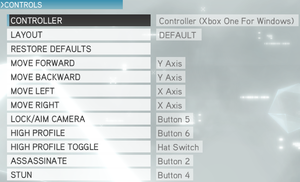 In-game button map settings (multiplayer). 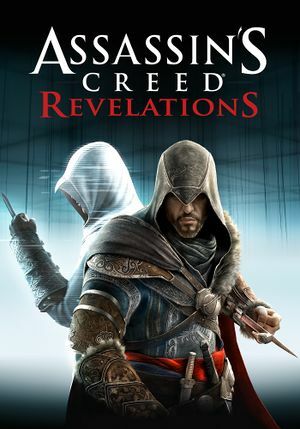 Use Helix Mod: Assassin's creed Revelations for better support. Go to the sound settings and select "Playback Devices", then select your device and change your current "Speaker Setup" settings. Switching from Surround Sound to Stereo can fix this issue, vice-versa. 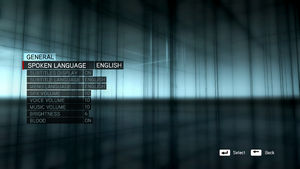 When the game opens, entering the Multiplayer menu appears to restore sound and should retain when you return to the Main menu. This is not a permanent fix, however, and will have to be performed with each startup of the game. After the fight, reverse these steps to get framerate back. ↑ 1.0 1.1 File/folder structure within this directory reflects the path(s) listed for Windows and/or Steam game data (use Wine regedit to access Windows registry paths). Games with Steam Cloud support may store data in ~/.steam/steam/userdata/<user-id>/201870/ in addition to or instead of this directory. The app ID (201870) may differ in some cases. Treat backslashes as forward slashes. See the glossary page for details. 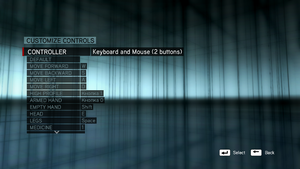 The game's camera twitches to sides and some geometry flickers. This page was last edited on 1 April 2019, at 06:02.